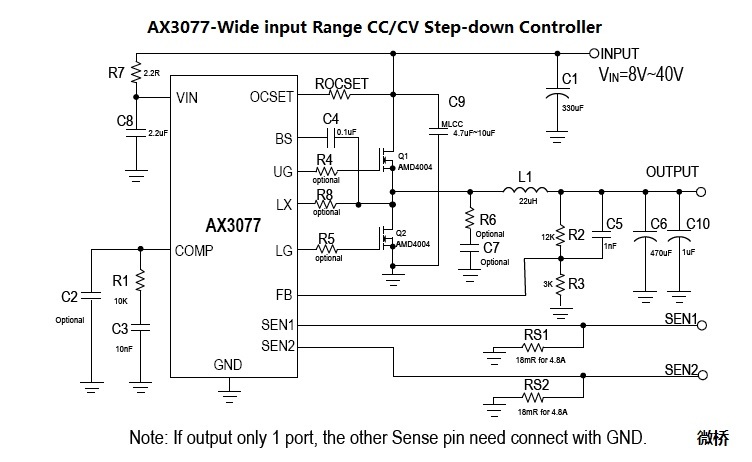 The AX3077 is a step down PWM controller with a driving dual output current to 9.6A (4.8A+4.8A). 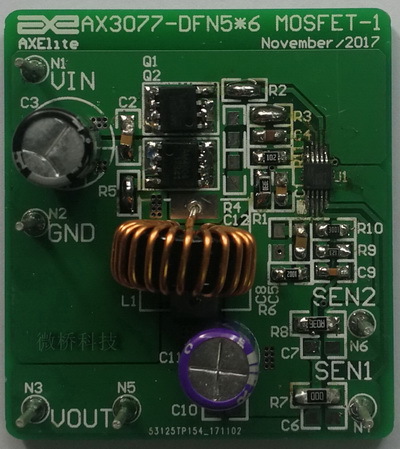 It is designed to allow for operating a wide supply voltage range from 8V to 40V. The external shutdown function can be controlled by logic level to pull COMP pin down, and then comes into standby mode. The external compensation makes feedback control have good line and load regulation with flexible external design. 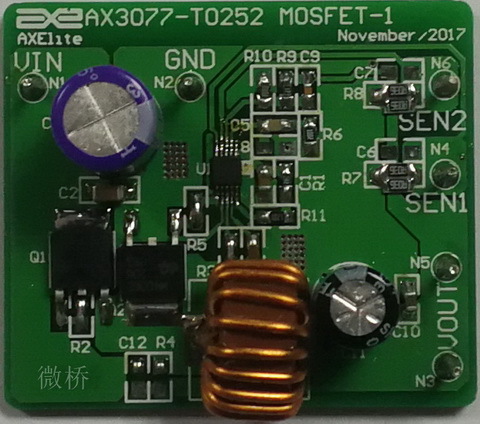 The AX3077 operates in the CC(Constant output Current) mode or CV(Constant output Voltage) mode, and the OCP current value is set by current sensing resisters. 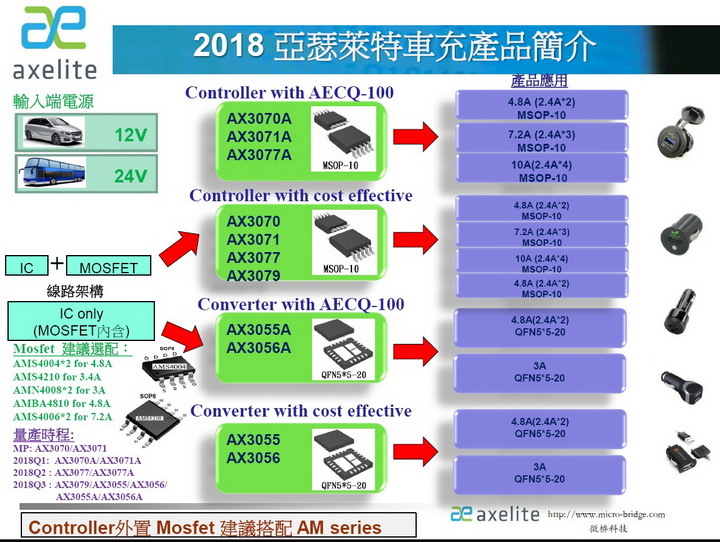 The AX3077 is suitable for the DC/DC switching power applications when requested the current limit function. The devices are available in MSOP-10L-EP and TDFN-10L(3*3) packages and require very few external devices for operation.